Health Professional, Medical, Dental Practice, Students or Business. We offer On-Site American Heart Training Services that will provide you and your staff with AHA CPR/AED Instructors for BLS and HeartSaver Certification or Recertifications. Once the on-line course is completed the student must attend a 20 minute Skill Evaluation at our Training Center. Customized CPR, AED, First Aid Safety training programs to meet your employees specific needs and provide AHA instructors On-Site to Your Facility and Your Schedule. 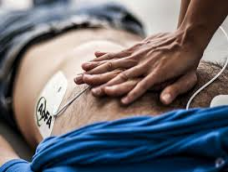 CPR Richmond has Group Course Programs that will provide you & your staff with American Heart Association BLS CPR, AED Recertification at your practice. Call us to register your staff. CPR VIRGINIA - 762 Independence Blvd. 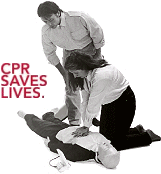 CPR / AED / First Aid - Virginia's Premier Training Provider. 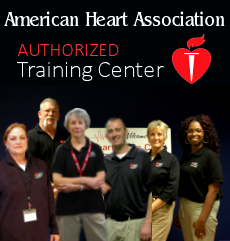 We are an American Heart Training Center American Heart Certified Instructors. Affordable for individuals, corporations, child care providers or health care providers. What CPR Training Certification Class do I need ? Babysitter, Babysitting, Nannies CPR First Aid - info (CLICK HERE) . Teachers - CPR AED - Childcare Providers CPR AED Training. Covers ADULT CPR - INFANT CPR - CHILD CPR and CHOKING, and First Aid if required. Affordable for individuals, corporations, healthcare providers, childcare , nursing students. Courses are available at our training location or onsite at your facility. TEACHERS CPR Training - Our American Heart Heartsaver © CPR Training includes all City - State requirements, covers ADULT CPR - INFANT CPR- CHILD CPR and CHOKING, with First Aid, if required.  Online Part. HeartCode BLS uses the latest eSimulation technology to enable students to assess and treat patients in virtual healthcare settings. Utilizing a variety of eLearning assets such as dramatizations, eSimulations, animations, self-directed learning, and interactive activities, this course teaches BLS knowledge and skills. This method of learning provides training consistency, adaptability to different learning styles, and flexibility for the student’s and employer’s time. Students can work at their own pace applying their knowledge to real-time decision making and skills development. Blended training also supports the need for hands-on learning of psychomotor skills. Debriefings and coaching are provided immediately after each simulation. After completing the eLearning component, students will attend a structured Instructor-led course that focuses on meaningful skills practice, debriefing, team scenarios, discussions of local protocols and skills testing. Students will also complete the hands-on portion with a feed-back pressure manikin. Students who successfully complete the online portion receive a certificate that allows them entrance to a skills practice and testing session. 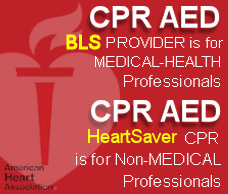 An AHA BLS for Healthcare Providers course completion card will be issued upon completion of both parts. CPR Training Class-Room Location - Va. Beach - Norfolk area. Easy to Find, It's easy to find us, we're right off interstate (64) on Northampton Blvd. - Large, Safe and Free Parking, just steps away from the class-room. Schedule your Company, Group or Organization for a private certified training class at our facility or your location, CPR / AED / BLS / First Aid. New or recertifications. Call for Details. Groups, Organizations, Medical & Dental Practices, Health Care, Commercial, Factory, Business and Educational. more info, questions (757) 313-0356. Students who successfully complete the online portion receive a certificate that allows them entrance to a skills practice and testing session. An AHA BLS for Healthcare Providers course completion card will be issued upon successful completion of both parts. Our CPR Training Class-Room Location Map - Va. Beach - Norfolk area. Convent Location, It's easy to find us, we're right off interstate (64) on Northampton Blvd. to Diamond Springs Rd - Large, Safe and EZ Free Parking, just steps away to the training center CPR class-room. Schedule your Company, Group or Organization for a private certified training class at our facility or your location, CPR / AED / BLS / First Aid. New or re-certifications, at no additional costs or fees. Call us today for Details. 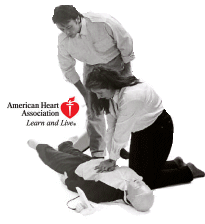 Time to Renew - your American Heart Association CPR AED Certification. Offering Virginia Beach and Virginia the most up-to-date CPR, AED and First Aid Training Classes to Business, Commercial and Corporate, and to Individuals, Occupational Health Personnel, Nursing, Medical & Dental Students. Specializing in CPR Certifications, (BLS) Health Care Provider Re certifications, AED & First Aid Certifications, plus On-Site training classes. Personal one-on-one training for CPR AED First Aid Certification and Re certification. CNA's, LPN's, Nurse's, Nursing Students, Dental & Medical Students, Physician's, Day Care, Child Care, Healthcare Professionals, Personal Fitness Trainers, Emergency Medical, Life Guard, OSHA Construction, Landscapers, Roofing, HVAC, Manufacturing, and Military Personnel. Our students come from a variety of schools and businesses such as SENTARA SCHOOL OF MEDICAL SCIENCES, ODU, TCC, WILLIAM & MARY, NORFOLK STATE, HAMPTON UNIVERSITY & EVMS. WE ALSO CERTIFY MEDICAL GROUP STAFF ON-SITE FOR MEDICAL & DENTAL PRACTICES FROM SENTARA HEALTHCARE BON SECOURS. Group Medical Practice Re Certifications are Available in Richmond Virginia Area. If your city is not listed, please call for availability.